Various aspects on the construction of a 'Large Bear Enclosure' are described visually and textually. 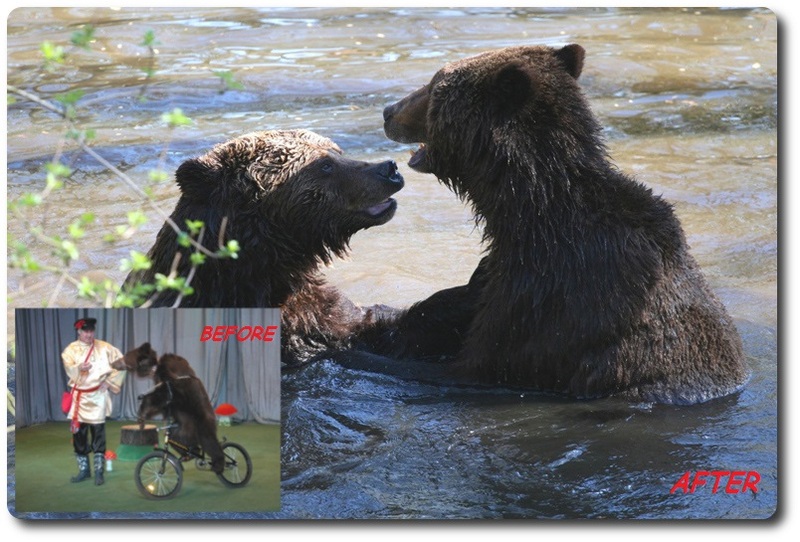 Information on the management of large naturalistic bear enclosures is presented. 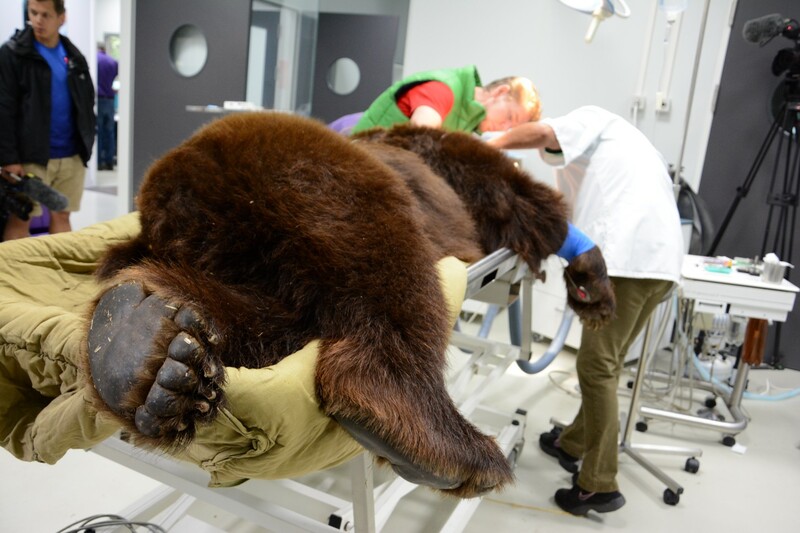 All aspects of veterinary management on captive brown bears will be highlighted. The Bear Forest in the Netherlands is a two hectare semi-natural enclosure developed by Bears in Mind to give former mistreated bears a better life. 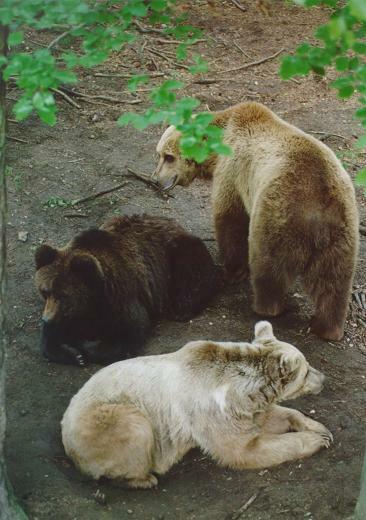 The type of management used by Bears in Mind focuses on a presentation of the bears’ natural habitat, which can restore the mistreated bears health and joy in life. The bears currently living in the Bear Forest are proof of the success of this approach. This website is the result of a study on the (re)development of the Bear Forest. 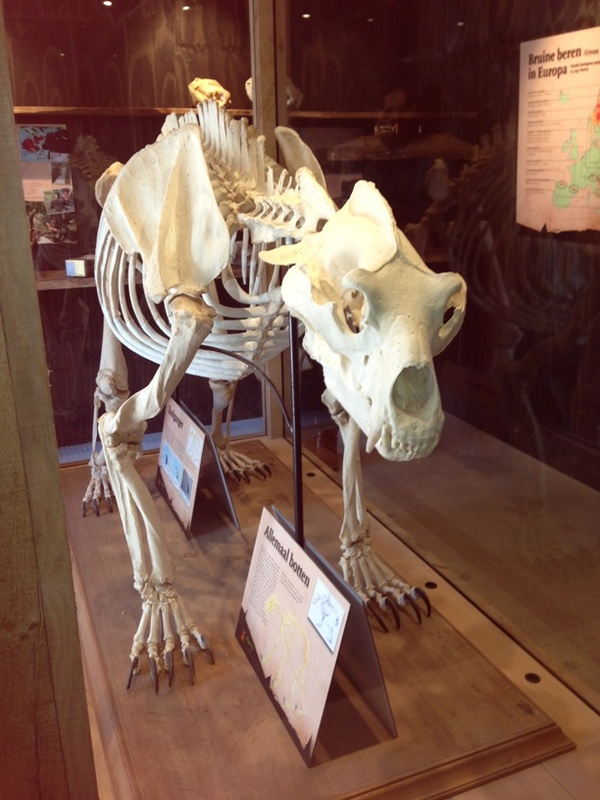 The Bear Forest at Ouwehand Zoo in Rhenen is used as a blueprint for the information on this website. 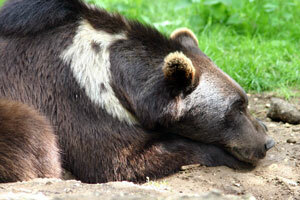 The bears that live in the Bear Forest are captive brown bears from various European countries. Some of them are former circus bears, or dancing bears and some were used in the film industry. 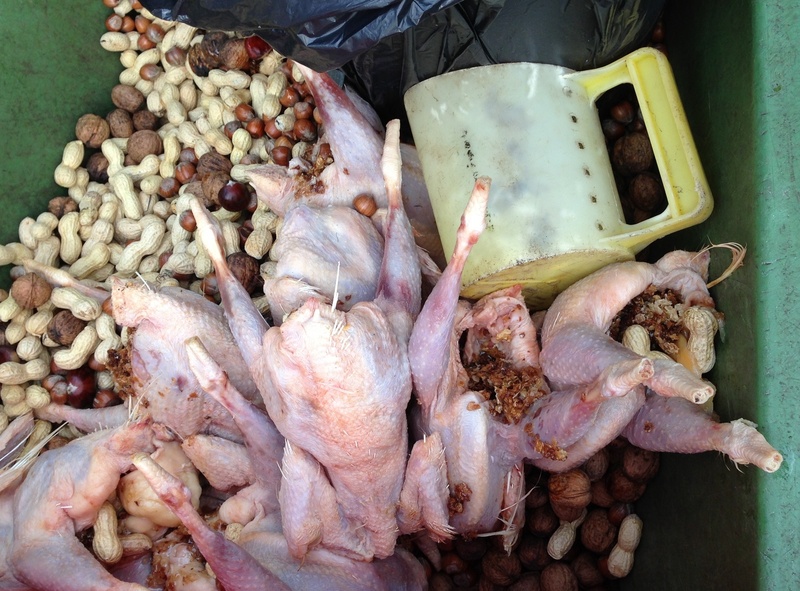 Some of the mistreated bears showed stereotypic behaviour on arrival at the Bear Forest. This behaviour has decreased and even ceased over the years. Additionally, the amount of time spent on natural behaviour has increased. It is a sanctuary for male (castrated) and female bears where NO BREEDING is taking place. It is a flexible enclosure where bears and wolves can roam freely and if necessary avoid each other at all times. The bears' natural behaviour is stimulated through their environment / feeding method / wolves. The bears are ambassadors for their wild cousins and used in various conservation education outreach programs and funding initiatives. Click on the following links to read more on the layout , taget audience / users & species described in this website. In 2014 the Bear Forest was completely renovated with the latest techniques and knowledge on captive bears being implemented in order to further improve the bears' welfare. The most important steps in this process have been included in this website. Many people contributed and still contribute to this website. The information has been carefully gathered from various sources and experts working with bears around the world. See Acknowledgements for details. Please read the Terms & Conditions carefully before entering this website.